California has already filed 45 lawsuits against the Trump administration. 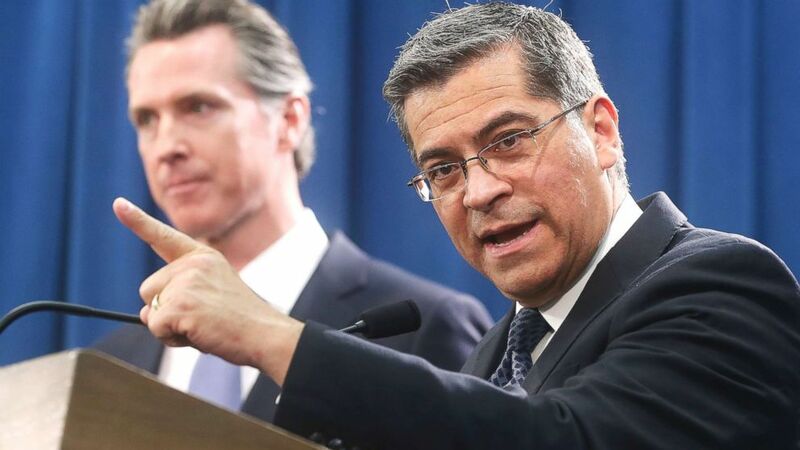 California Attorney General Xavier Becerra said the state will “definitely and imminently” be filing its 46th lawsuit against the Trump administration, this one over the president’s recent national emergency declaration on the southern border. Becerra told ABC News after his interview on “This Week” that New Mexico, Oregon, Hawaii and Minnesota will be joining California in the coming lawsuit. Trump first suggested he may sign an emergency declaration in early January, in the midst of the record 35-day partial government shutdown that occurred after Congress and the president couldn’t agree on how to fund the Department of Homeland Security. In order to end the shutdown, he ultimately signed a bill that funded the government through Feb. 15, but did not declare an emergency at that time. (Rich Pedroncelli/AP) California Attorney General Xavier Becerra, right, accompanied by Gov. Gavin Newsom, said California will probably sue President Donald Trump over his emergency declaration to fund a wall on the U.S.-Mexico border in Sacramento, Calif., Feb. 15, 2019. A bipartisan, bicameral group of lawmakers then negotiated a border security funding deal over three weeks, presenting Trump with a plan that included $1.375 billion for border security barriers, which is enough to construct about 55 miles of a barrier in new areas. Trump signed this bill, but also took the additional step of declaring an emergency, which allows him to secure additional funding from other the Treasury and Defense departments. “This Week” Co-Anchor Martha Raddatz pressed California’s top law enforcement officer on the broad authority granted to the president under the 1976 National Emergencies Act as to what qualifies as an emergency. “Where do you believe he's really overstepped his bounds, given this very vague law?” Raddatz asked. “Well, he himself said it," Becerra said. "He did not need to announce or declare a crisis. He did not have to call this an emergency." The president also conceded, in that speech, that he expected the declaration to be met with legal challenges. 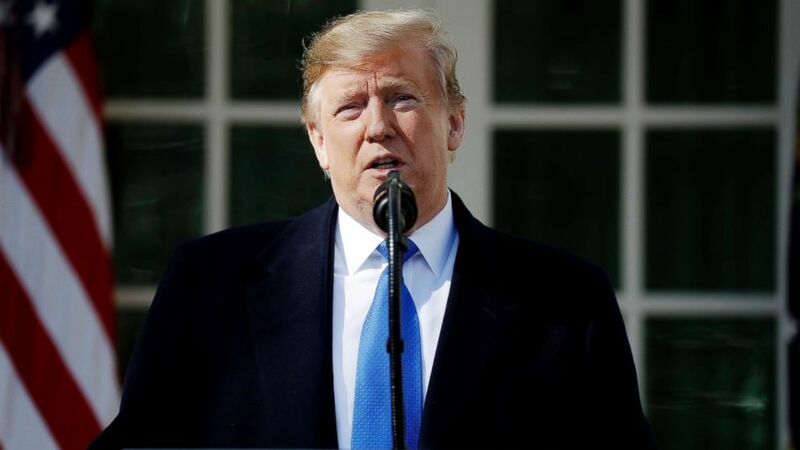 (Evan Vucci/AP) President Donald Trump speaks during an event in the Rose Garden at the White House to declare a national emergency in order to build a wall along the southern border in Washington, D.C., Feb. 15, 2019. In a separate interview on “This Week,” House Freedom Caucus co-founder Rep. Jim Jordan, R-Ohio, told Raddatz that he thinks “there is a national emergency” at the southern border, but also recognized that the legal challenges being mounted against the declaration will slow down the process. “Yes, it’s going to be a slow process, it’s going to go to the courts," Jordan said. "We understand that. But better to start that process so that we can ultimately get there than to not start it at all." Jordan said the president will use money from the bill passed by Congress this week, in addition to the emergency declaration. The California attorney general said on “This Week” that this isn’t like the national emergencies after 9/11 or during the Iran Hostage Crisis. Raddatz noted there have been 58 national emergencies declared since the law’s passage, including three by Trump, most recently over violence in Nicaragua. “So why should the president have the authority to declare a national emergency for that and not for this, which he clearly does see as a national emergency?” Raddatz asked. “Well, there certainly may be some declarations that are dubious, just like this one is. But typically, our presidents have focused on issues where the national interests are clearly at stake. The national interests aren’t at stake here. “The Department of Homeland Security itself has said to the president that it is more difficult to cross into the U.S. at our land borders than it has been in a long time. And so it’s clear that this isn’t an emergency, it’s clear that in the mind of Donald Trump he needs to do something to try to fulfill a campaign promise,” Becerra said.